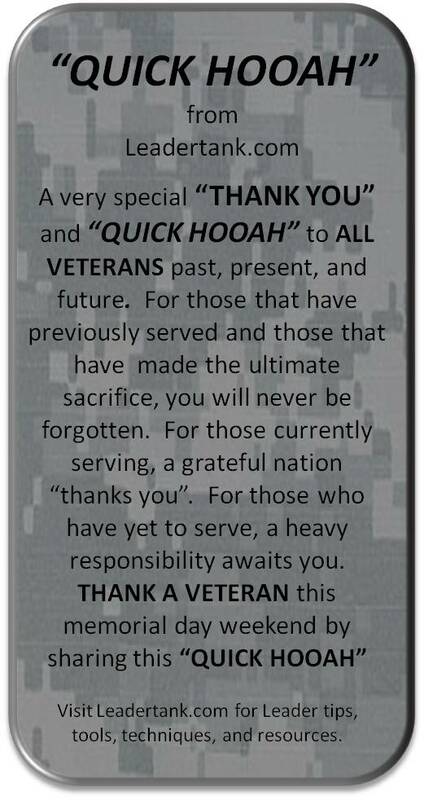 Thank a veteran today by liking, sharing, posting to all your social media outlets. Visit Leadertank.com for Leader tips, tools, techniques, and resources. THANK A VETERAN by sharing this “QUICK HOOAH” from Leadertank.com. Visit Leadertank.com for Leader tips, tools, techniques, and resources.